As ‘Bijbelvorser’ or Bible researcher the person looking to get to know more about the Biblical truth is willing to compare the truths that the Word of God reveals with the scientific findings and the sayings of men. The researcher does hope that the Biblical research can become a voyage of discovery. For, like an explorer embarking to discover a new land, like a scientist designing experiments to test his or her hypothesis, like an athlete striving to discover his or her limits, the workman of the Word of God sets sail to discover God‘s will and to be able to give others the right answers concerning that revelation of Gods Word. Knowing his own inherent and inerrant perfection he is willing to use the available tools and material by other scientists and worldly as well as theological researchers. The main interest is to understand Gods Word to the fullest and to prepare one self to be ready to enter the promised Kingdom of God. We do have many Bible Books to built up our knowledge about God and His works. The law of the Spirit of life in Christ Jesus makes that we do have a goal, knowing that a mediator is standing between us and God. With the Law of Love we want to look into the different religious ways of thinking, analysing them and looking where people went wrong. The main reason is to avoid going from the right pad and to be on the main road which shall bring us through the small gate to enter the Kingdom of God. Each individual has to hear the Gospel and shall do that in an other way. But upon hearing the Gospel each person shall have to react and take his responsibility. The researcher of the Bible does not want to tailor for himself nor for people who love God and love a country or state. The love for God must be the most important motivation. And not willing to adapt ideas so that they can be in unison with denominational thinking or be in accordance to human attitudes and traditions. In the sixteenth century this subject was often addressed by Protestant authors. Roman Catholic critics had argued that the Sola Scriptura principle cannot be accepted, because the need for learned interpretation is so obvious; and they tended to misrepresent the Protestant teaching in this matter. So it was necessary for Protestant apologists to avoid extravagant statements and explain their teaching very carefully. By reading and meditating on the Holy Scriptures we shall receive knowledge and God shall guide us all the way through. In places like this website possibilities are created to argue with others and to share ideas about certain aspects which might not be so clear. Because we may be sure that not everything shall always be clear to us. Often we shall encounter matters which bring up questions and which shall arise certain doubts. Those moments when we do wonder we should put our minds open and listen to as many voices as we can and compare all the sayings with the Holy Scriptures. God designed to call off our minds from the pursuit of external things and our daily occupations, and transfer them to the study of the scriptures. Hence it is now necessary to give some time to their perusal and study; which we certainly should not bestow upon them, if we found every thing plain and open. To come to insight we should do some work. Like the old adage, “there is no gain without pain.” We should be prepared to go through many books and available material and tackle the time to study hard. Sometimes daring to go over and over again certain verses or phrases and looking for other phrases to find them confirmed with the understanding we get from reading the Bible. In former times the writers of commentaries would never have taken up a part of the biblical text without bearing a confession of faith in mind. 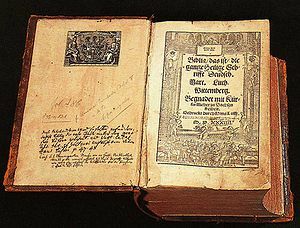 When the Protestant reformers rejected the Roman Catholic traditions of interpretation, they did not leave their churches without any guidance in interpreting the Bible; they hastened to provide some carefully framed summaries of doctrine to be subscribed by members of their churches. These were the great Protestant confessions of the sixteenth and seventeenth centuries. But such ‘Confessional interpretation’ is not necessary to become a Bible researcher. You can start at any time, even when not being a believer, not a baptist member of any Christian denomination, a Jew or a Muslim. The first and most important rule to become a good Bible researcher is to have an open mind and to be willing to learn, adjust and to go on making use of the learned material. Because many of us lack knowledge of the different languages, we should be willing to make use of accepted linguistic material. The researcher has to make work of a knowledge of the languages or of the historical background of the biblical writings. As a Bible researcher we must consider us as ‘eternal students’ who may not lack a general education, but do not have to have a theological formation, like many would wish. It can help a lot but it is not really necessary. A formation in systematic theology is an asset but not compulsory. Every time the Bible researcher should be aware that certain interpretations by certain writers are given by their confessional interpretation and are under pressure of the denomination to which they belong. For many it is very difficult to put previous learned denominational dogma’s at the site. This often would blind them and give them no opportunity to learn fast how everything really is. For that reason it sometimes has no use to go further in debate with such blinded persons, but we ourselves should also be very attentive not become blinded or to become indoctrinated by certain teachings brought onto us by human organisations. Men must interpret to the best of their ability each particular part of Scripture separately, and then combine all that the Scriptures teach upon every subject into a consistent whole, and then adjust their teachings upon different subjects in mutual consistency as parts of a harmonious system. Every student of the Bible must do this, and all make it obvious that they do it by the terms they use in their prayers and religious discourse, whether they admit or deny the propriety of human creeds and confessions. He than continues saying that if they refuse the assistance afforded by the statements of doctrine slowly elaborated and defined by the Church, they must make out their own creed by their own unaided wisdom. But you also could wonder if the creed the Bible researcher has to provide shall not then be provided by the Most High. The real question is not, as often pretended, between the word of God and the creed of man, but between the tried and proved faith of the collective body of God’s people, and the private judgement and the unassisted wisdom of the repudiator of creeds. The person who wants to research Gods Word is best to go from the first letter of the Holy Scriptures until the last in one Bible version and then to take an other Bible translation and read it again from the beginning to the end, forgetting all the things he may have learned in his previous church. Opening his ears to the Words of the Bible shall bring much light. Willing to go into the fields of the old language and stories of the People of God he shall find himself being able to swim through many waters. By carefully studying legal materials found in the Old and New Testament plus in the worldly books or historical writings, the Bible researcher can determine which one of the previous actions took place under which circumstances and look for the meaning. The meaning of a text, then, is determined by its context, because it is only there that we are informed about the way God used the ancient Near East background. By acknowledging that God was directly involved in the process of rejection, polemic, adaptation, and incorporation, we can honour the divine nature of inspiration and justify the need to submit to Scripture’s authority. Getting to know the history and evolution of the world, comparing everything with what is written down in the Holy Scriptures the researcher himself tries to understand God’s meaningful world, and at the same time participate in the fellowship which God wants his own people to have with one another. The sharing of observations and ideas concerning God’s record in nature can be a source of much joy and fellowship, as well as an enhancement of our lover for God. This love for God the researcher wants to share with as many people as possible. Every Bible researcher should try hard to recognize the difference between man made teaching and scriptural teaching. Thereby making his choice based on scripture. The Bible researcher tries to look further into details and to enhance the understanding and expression of biblical truth, studying issues of biblical interpretation and exploring new areas of truth. But he also wants to engage in dialogue with other religious communities in order to reduce tensions, misunderstandings, and prejudice against the church. Offering himself to respond to enquiries about specific theological and doctrinal issues in the world field. Because in history there is also already written so much he is interested in reviewing manuscripts for denominational publication to offer suggestions for improvement and to prepare materials as needed by the church in defence of truth. It would be nice if a forum for the presentation and discussion of papers on biblical and theological topics could be provided. Together we can stimulate each other, ever learning and looking to share with like-minded people. The Bible uses the term “Disciples”, meaning students who are learning. That is who we are along with many others over time since Jesus Christ taught the words of His Father. I believe the Bible is a guide on how to live and be accounted as one of God’s people and to receive promises that are far better than what this world offers. This is why we have to study the Bible. atheists and various other assorted anti-Christians were reading the Bible essentially as sola scriptura fundamentalists. In essence, they presume to claim that their own reading of the Bible is the only possible one, that their reading is also quite obvious (perspicuity), and that the Bible is the sole basis for Christian doctrine, life and legitimacy. If the Bible can be made unpalatable even to Christians, then it just shows that the whole Christian enterprise is bunk. There’s a definite progression visible in the Bible, even to the sola scriptura reader, in which God gradually brings the people of Israel out of the paganism from whence they came, raising their ethics and theology bit by bit until the full revelation comes in Christ. Not everything depicted in the Bible is commanded by God, not everything allowed by God is endorsed by God, and not everything commanded by God is meant to become an absolute, eternal rule. Attempting to keep a discussion of Sola Scriptura concise and accurate is like getting my wiener dog to stop chasing a ball. It’s just not going to happen. Please don’t take this one little entry as your only point of access into this centuries-old debate. Though you should certainly look into each of the solae on your own, this is probably the one that needs the most attention. These are my preparatory notes for a sermon given at Parkside Church on April 15th, 2012. The audio for this message can be found here, and I welcome any constructive criticism. Whether we like it or not, our beliefs influence our thoughts, our thoughts influence our attitudes, and our attitudes influence our behavior and our treatment of others. If we are to ensure Godly behavior and treatment of others, Godly attitudes, and Godly thoughts, then we have to have beliefs founded on sound doctrine. We can tell you what the Bible says, we can tell you what we understand that to mean, but there will always be a gap that faith has to cross. By God’s grace, we can endeavor to make that leap smaller, but only God can instill the necessary faith in you to actually make the final leap. I am not sure which is worse, the way Christians treat unbelievers or the way Christians treat fellow Christians. I’ve seen egregious failures on both sides of that dilemma. 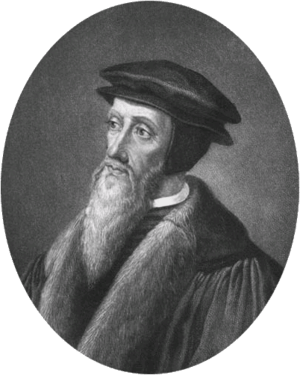 The second major split in Christendom was the Protestant Reformation of the 16th century, which was a theological split over the nature of justification and the authority of scripture. From there the Protestants split between Reformed and Lutheran, and there have been many more splits after that. Denominationalism is a mess in Protestant circles. You have the major flavors of Protestantism — Baptist, Episcopal, Lutheran, Methodist, Pentecostal, Presbyterian and Reformed — and each of these have many more divisions under them. How many of you remember your first Bible. You may have been gifted one upon you entrance into a certain elementary grade. Or maybe someone who was near and dear to you gave it to you. Or maybe it was the beloved youth leader who brought you into the church. Maybe a random stranger off the street handed one to you as you were walking down the street. Whatever the case may be your first Bible always holds a large sense of sentimental value. I have had more than one conversation about a concern regarding me allegedly not taking scripture seriously enough. Ironically, it is because I have such a high view of scripture that I end up in such conversations. It is always a little uncomfortable for people when they learn they have aligned their lives around biblical beliefs that are, well…not biblical. This entry was posted in Bible or Holy Scriptures, Bible Reading, Bible Study, God (English articles) and tagged 16° Century, Bible, Bible Researcher, Bible Study, Bible Translation, Catholic Church, Confessional interpretation, God's Kingdom, God's Will, God's Word, Interpretation, Jesus, Love for God, Protestantism, Religious text, Researcher, Salvation, Sola Scriptura, Teaching, Theology, Westminster Confession of Faith, Word. Bookmark the permalink.